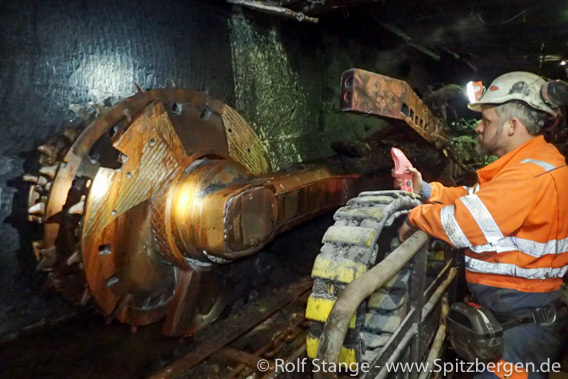 Mine 7, the last Norwegian coal mine in Spitsbergen still active, has a history of 52 years – quite impressive for a coal mine and certainly more than most others in Svalbard. And it looks like 2018 will be the best of these 52 years. The amount of coal produced is above expectation and so are the coal prices on the world market. Day plant of mine 7 in Adventdalen, 12 km southeast of Longyearbyen. 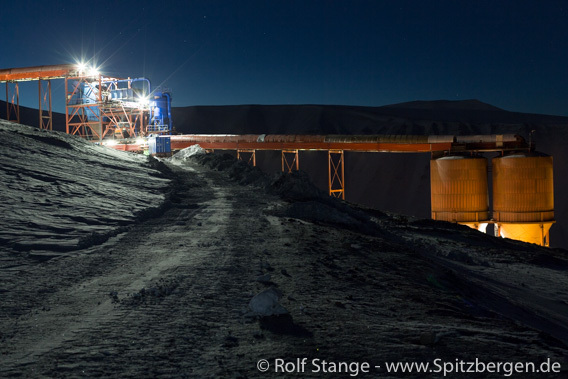 The 2018 production in mine 7 was scheduled to amount to 130,000 tons, a quantity that was already reached in October, as Svalbardposten reported. But even more important than the good production is the development of world market prices. In spring 2018, less than 40 US-$ were paid for a ton of coal. Since then, the price has more than doubled and has now stabilised between 95 and a good 100 US-$. This development has helped mine 7 to the best year in its history, economically. Good reason for the 40 miners to be happy – and to welcome 4 more colleagues in their team soon. The main customers for mine 7 coal are the local power plant in Longyearbyen and a German company called Clariant which is buying 60,000 tons per year. For both, the price is based on the average price of the last 3 years, giving both the producer, Store Norske Spitsbergen Kullkompani, and the customers planning reliability. The coal mines Svea Nord and Lunckefjellet at Sveagruva were finally closed in 2016. Currently, Store Norske could probably make good profit in Svea. This good economical development gives the decision of the Norwegian government to discontinue mining in Sveagruva, where a new mine was fully prepared in Lunckefjellet but never put into productive operation, an extra bitter taste, seen from the perspective of the Store Norske Spitsbergen Kullkompani and their employees. Many miners lost their jobs after this decision – which was based on economical reasoning. Instead, large amounts of money will now be spent on a large clean-up in Sveagruva. The recent development is likely to fuel the debate about the future of mining in Svea, a discussion that the government in Oslo officially has declared as closed.